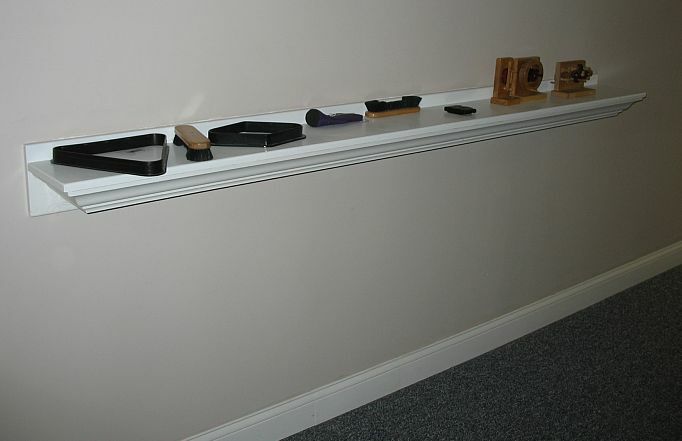 When I finished the 2800 sq foot basement at 17 Brookwood in 2000, I decided to make a heavy duty shelf for besides the pool table. I designed it to be heavy enough and securely mounted to the wall, such that teenagers could abuse it.....including even setting on it! This shelf survived my 2 teen-agers, plus the many friends they had over visiting and playing pool. I had a request for more info on how I designed and built this shelf. Since I designed and built this in March of 2000, I forgot how I did the interior supports. 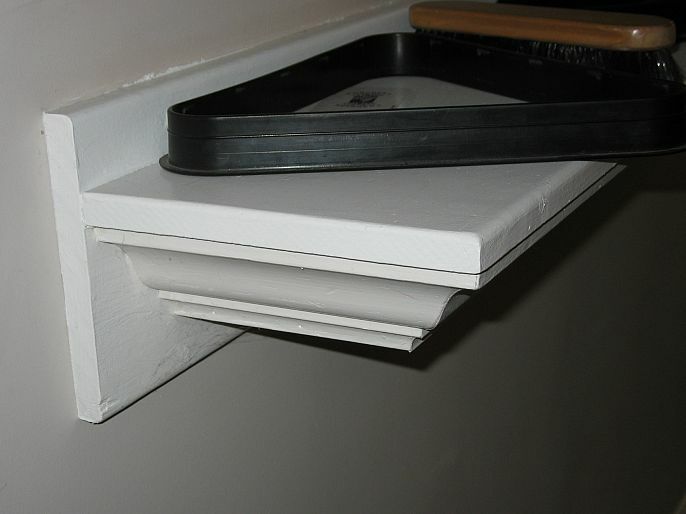 I pried off the crown molding on one end, and I saw how I did it. This shelf has held up to a lot of abuse. It basically makes small boxes as the frame to give it strength. The small boxes are glued on 3 sides, and screws are used on 3 sides of each box also. I used yellow Titebond 2 glue when I made this. If you are going to build one of these, get your crown molding first, then make sure the shelf dimensions match up with the crown molding. All the wood is common pine that is 3/4" thick.